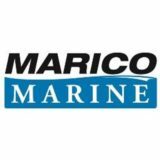 Marico Marine is a leading independent and international marine consultancy working across the ports, shipping, offshore energy, marine engineering, renewables and environmental sectors. With proven knowledge and expertise in the maritime sector; development, safety and regulation, our ‘salt and science’ approach combines practical marine experience with innovative analysis. The company is located in the tranquillity of the New Forest, near Southampton, UK. Our clients are ports & harbours, engineering and environmental consultants, infrastructure developers, shipping companies, legal organisations and regulators. Our Consultancy department has grown from its origins in marine and navigation risk and now provides a breadth of shipping and navigation studies to support design and operation of marine infrastructure including EIAs for the marine renewables industry, safety assessments and audits for ports & harbours and oil & gas. We utilise specialist bespoke in-house marine traffic simulation tools and analytical techniques to investigate complex problems. More widely, and drawing on the skills of our team, we provide consenting, hydrographic and dredging advice and have undertaken market analysis, business reviews and master planning for ports and harbours. We are looking to recruit an experienced Maritime Consultant, with seagoing experience and shore-based experience in a marine role – preferably associated with harbours or infrastructure development or have worked in marine safety related to infrastructure development.